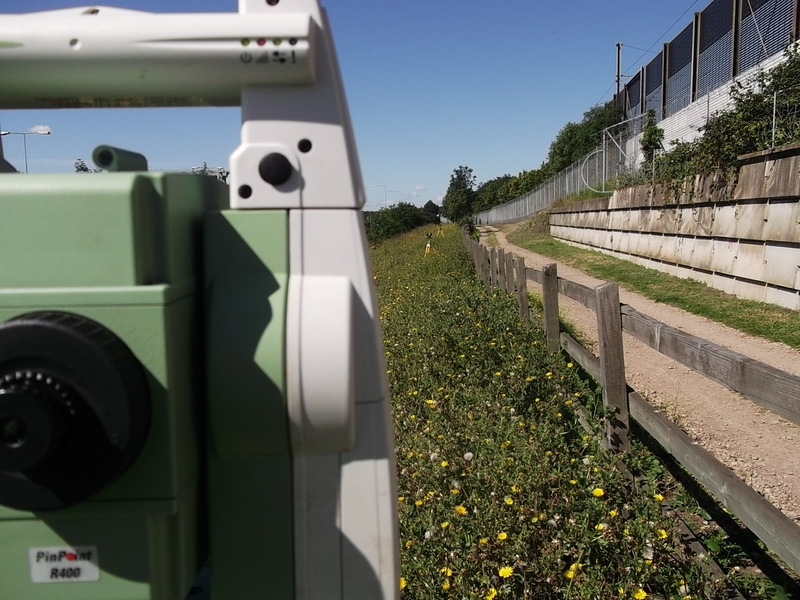 J C White Geomatics has several monitoring jobs in London and across Kent. We are currently working on several monitoring jobs in London and across Kent. In central London we are monitoring a 2000 year old Roman wall in the basement of a construction site with demolition and building work going on above and around it. Also in the city, we carry out regular work at Hampstead Ponds to monitor the embankments and dams checking for settlement. St Mary’s Island, Chatham has been on our job list for over 25 years as we carry out annual checks on the floodwall surrounding the island. Finally, and just down the road from our head office near Hythe in East Kent, another regular client of ours is Eurotunnel, for whom we are about to commence our annual monitoring of the tracks and bridges within the Folkestone terminal. Every project poses different challenges but the key is reliability, repeatability, consistency and the removal of any variables. Our decades of experience pays dividends when working through the minutiae of these complex projects to meet and exceed our clients’ requirements. We are also able to provide Realtime Monitoring which runs 24/7 and is linked to computers in our office so we always have the information at our fingertips. Do contact us for a quotation when you next need structural or landform monitoring.